If you’re shopping for a life insurance policy you may be wondering who is covered by life insurance? It’s an important question and one you should understand the answer to. 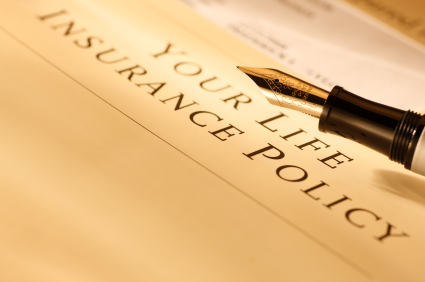 The person covered by a life insurance policy is the person who is insured by the policy. So, if you buy life insurance on yourself, you are insuring your life, and if you die, the death benefit will be paid out to your beneficiary. For example, if your wife takes out a life insurance policy on her husband, the policy covers the life of the husband. Should the husband die while the insurance policy is "In Force", the wife can make a death claim for payment of the death benefit from the insurance policy. Life insurance is a contract that pays out a death benefit upon the death of the insured person. The owner of the policy agrees to pay premiums to the insurance company, which in turn agrees to pay out a death claim on the policy subject to the terms and conditions of the insurance contract. Life insurance covers death from an accident or natural causes. Life insurance provides coverage on a specific person’s life, and if that person passes away during the time the policy in In Force, there is a payout on the coverage, subject to all of the terms and conditions stated in the insurance contract. A life insurance policy covers death of the insured person resulting from an accident or natural causes. However, there are usually some standard exclusions listed in a policy for which there is no coverage. Other exclusions may include drug and alcohol abuse, and participation in illegal activities. This is a clause common to all life insurance policies. It excludes payment of death benefits if suicide of the insured person occurs within the first two years since the purchase of the policy (one year in some states). The insurer will not make any payment of the death benefit. However, the insurance company may provide a refund of the total premium payments made. This provision prevents individuals from getting a policy and then kill themselves with the intention of settling debts and providing their surviving family a way out of financial hardship. The exclusion denies payment of policy proceeds if death of the insured occurs as a result of certain high risk activities, including but not limited to auto racing, rock climbing, hand-gliding, etc. For some insurance companies these activities may be covered as long as the policyholder agrees to pay higher premiums. This clause excludes payment of a death benefit for death resulting from an aviation accident outside of one that occurs on a standard airline scheduled flight. Basically, the insurance company will only pay if the insured is killed in a commercial plane crash. This exclusion provides that the insurance company will not pay a death claim if the cause of death is a result of war. There may be life insurance policies available on a group basis or through the government for active duty personnel. Another common policy limitation is the contestability clause. If a carrier finds that there was misrepresentation during the life insurance underwriting process (usually application or paramed exam) within the first two years of the policy, the carrier can contest the insurance contract and potentially not pay the death benefits. This is a major reason to accurately answer all questions during the application process. Make sure you answer all questions truthfully. It makes no sense to falsely qualify for a life insurance policy only to have it not pay out a death benefit when you need it. How Long Does Life Insurance Provide Coverage? That depends on the type of life insurance policy you purchase. A term life policy provides coverage for a temporary period of time, usually up to 30 years. You may have the option of choosing a term of 10, 15, 20 or 30 years of life insurance protection. Term life offers a lot more protection for your money compared to whole life. A whole life (also known as permanent life) insurance policy provides life insurance that is guaranteed to last your entire lifetime, no matter when you pass away. Whole life may cost 2-3 times more than term insurance, because it does not expire and it may build up some cash value inside your policy over time. Usually, an insurance professional would recommend that you purchase at least 7-10 times your annual income in life insurance. This means, if you earn $50,000 per year, you may need $500,000 of life insurance protection for your family. The best way to most accurately determine your life insurance needs is to use a life insurance needs calculator which asks you some basic questions and instantly gives you an accurate estimate of how much life insurance you really need based on your specific situation. The beneficiary of a life insurance policy is the person or persons named to receive all or a part of the proceeds (death benefit) from the insurance policy after the insured person has died. Usually, the proceeds are paid out free from federal income tax. The beneficiary makes a claim to the insurer on the life insurance policy when the insured person passes away. The insurer will require the beneficiary to fill out some forms and return them to the insurance company, including an original death certificate of the insured person. The coverage provided by a life insurance policy is In Force during the policy period if the premiums owed for the coverage are paid up-to-date. The period of time for which the life insurance policy provides coverage, stated on the declarations page of the policy. The amount of money paid to the insurance carrier by the policyholder in return for coverage. The premiums are usually paid on a regular basis, either monthly, quarterly, semi-annually or annually. The front page of the life insurance contract. It specifies who is insured, the policy owner (may be different than the insured), what amount is insured, the type of life insurance (term life, whole life, universal life or variable life), the premium, the policy number, and it shows the name and address of the insurance company. In comparing the two basic types of life insurance, the main difference is the duration of your policy – how long your coverage will last. Term life lasts for 30 years or less, while permanent coverage lasts your entire lifetime. Learn more about term life vs permanent life. Although many experts recommend between 7-10 times your annual income in life insurance. However, the most accurate way to determine your needs is to use a life insurance calculator which will ask you some basic questions about your personal finances and give you an accurate estimate based on your own personal situation. Use a needs calculator to determine your life insurance needs. Your premium which is the price you pay for life insurance is based on several components including the type and amount of life insurance you buy. In addition, your age and gender, there are several risk factors that impact your rate per $1,000 of life insurance coverage, including your health, driving record, tobacco use, lifestyle, drug and alcohol use, occupation, hobbies, weight, and credit history, among other things.